Oh my .. 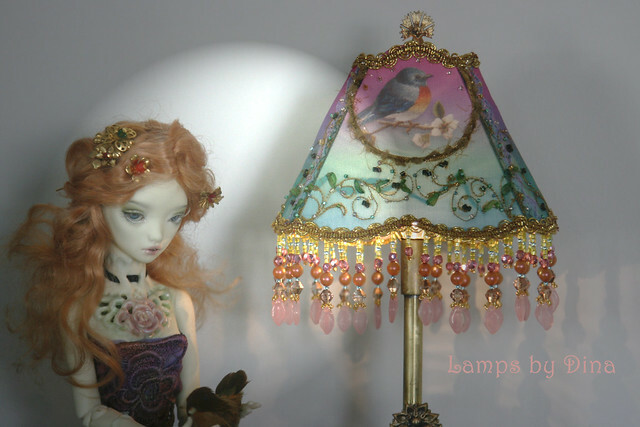 I am still at it with the lamps.. Experimenting with fabric printing and brass soldering to create this new lampshade. Modeled with Oola. 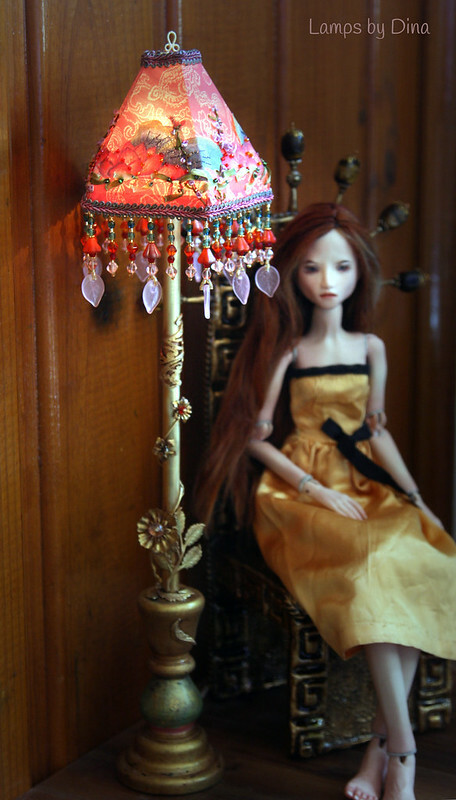 That Lamp is just FABULOUS!! I love the rich detail, the beads and the little robin. Gosh you are so talented! Good job! Thanks Anna. I am still such a long way from actually finishing one properly, there is so much tiny logistics to the structure. I am enjoying the creative process a lot - printing the fabric, dying the lace and ribbons .. all that beading is a headache though! Wow Dina I love these screen printed lamps! Let me know if you are ever interested in doing a collab or trade on the beading work. I would love to contribute to such a cool project!! 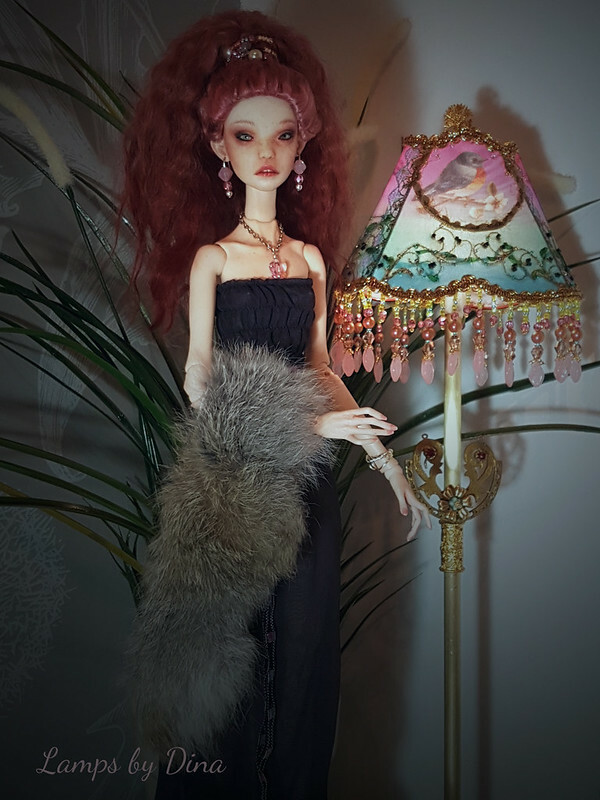 I have finally finished one lamp from top to bottom! Little Robin is now done, complete with soldered brass fittings and decorations. 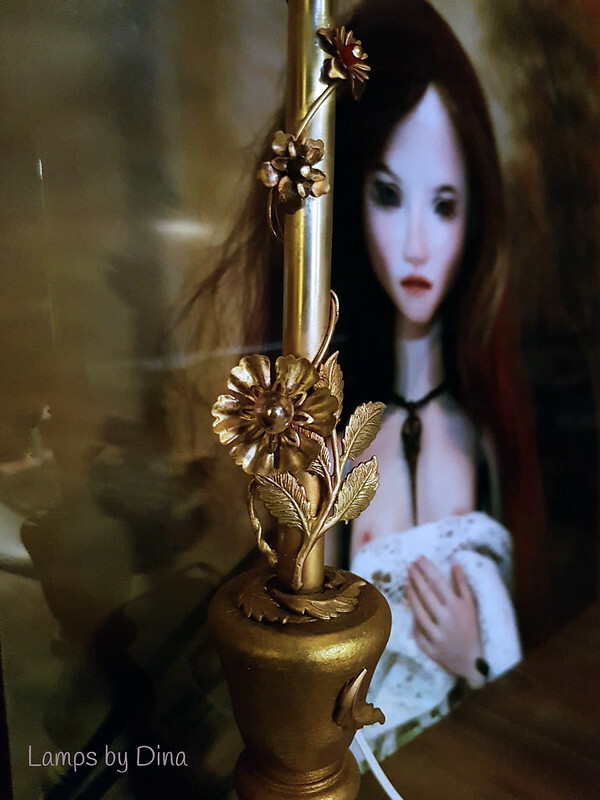 If anyone is interested in buying this let me know, I dont know how much for though ..
Next lamp base coming along, this one is for the red Chinese Lotus shade. Loving these antique brass stampings! 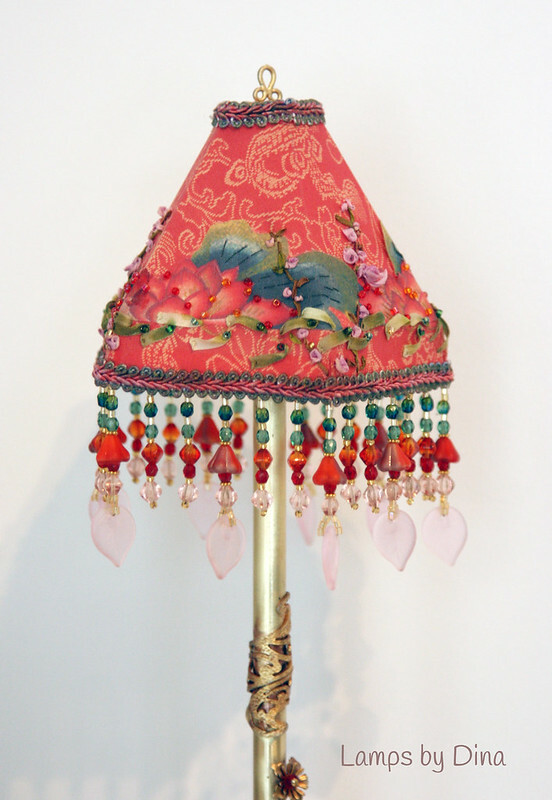 Chinese Lotus Victorian style lamp. 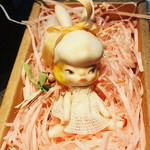 42cm high. 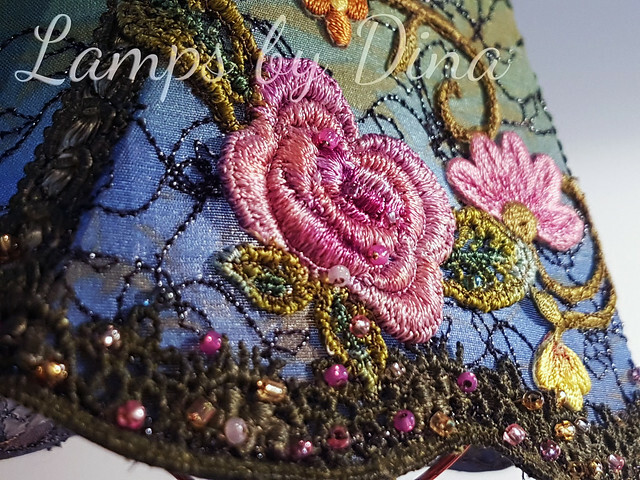 Custom printed silk shade, hand colored lace and ribbon embellishments, hand beaded Czech glass fringe and antique brass stampings. 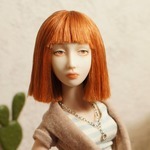 Powered by 2 x AA batteries - not enough to light a dolls room but just enough for a gentle glow. Modeled by the lovely Kyeema. 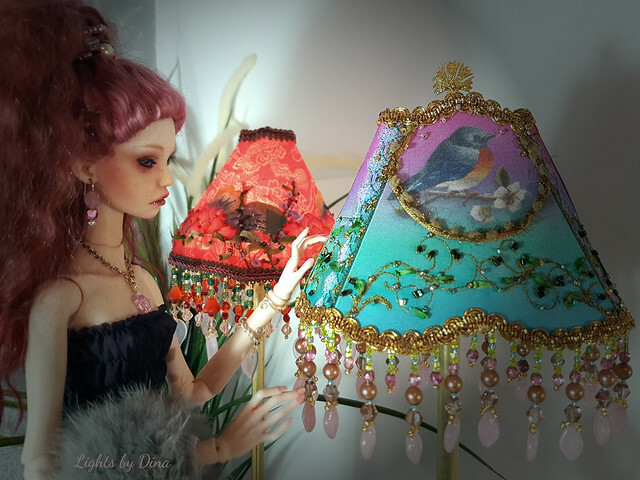 I absolutely love your lamps Dina, they are so well thought out, and such beautiful accessories for special dolls. Ooo pretty! It's very "Tiffany-esque" with the scalloped edges. Love it!